Understanding fractions is so important in developing comprehension of numbers and operations in the elementary math classroom. This beneficial book illuminates readers about the special terms used when working with fractions, how to recognize equivalent fractions, and how to compare fractions, each important standards of the Common Core. 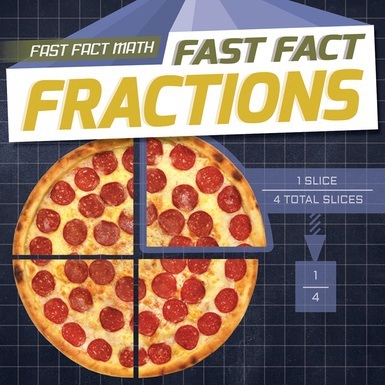 Numerous pictorial models enable readers to visualize what fractions represent, while clearly explained "fast facts" help young math stars solve related fraction questions. Most critically, fractions are explained as significant and practical components of real-life situations.